Connect ROLI PLAY to your Lightpad Block to learn how to shape sound through touch and create songs. We're delighted to introduce ROLI PLAY, a fun and interactive companion app for the Lightpad Block. On the pressure-responsive surface of a Lightpad Block you can shape sounds and perform music with incredible expressiveness. Your first few hours with a Lightpad can be one big musical headrush, and ROLI PLAY is here to hold your hand! 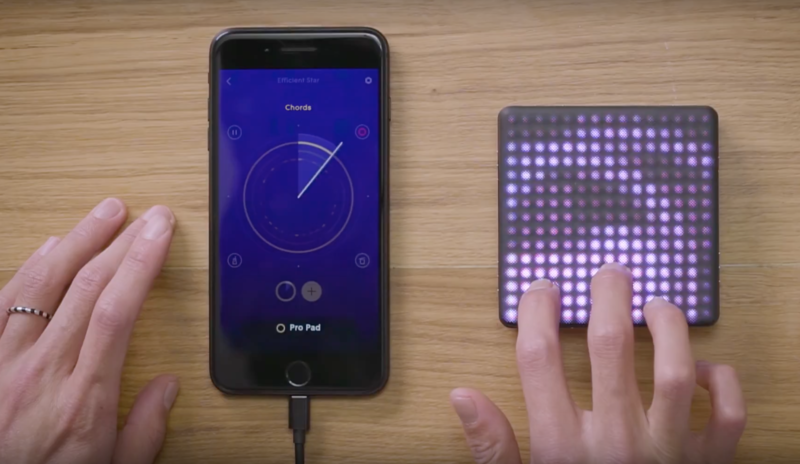 The app helps you master the techniques for playing a Lightpad — so you can start making music as soon as you take it out of the box. Play around with a huge range of sounds from delicate flutes to guitar leads to pulsing dance floor beats. Learn how to shape and deepen any sound through simple gestures. The app teaches you how how five movements — Strike, Glide, Slide, Press, and Lift — become musical on the Lightpad Block's surface. Have fun experimenting with electronic music composition on a Lightpad Block. Anyone can do it! Make a song by choosing sounds, recording loops, and mixing them — all within the easy-to-use interfaces of the app. Explore basslines, chords, and leads, and how you can layer these elements to make amazing tracks. You don't need to be a DJ to start making music. It’s easy to share your finished projects with friends and family. Music is collaborative, and ROLI PLAY helps you get feedback so you can refine your musical ideas. Download ROLI PLAY today on the App Store. Watch these films below to see how to get started with our new app and a Lightpad Block — including the brand-new Lighpad Block M.